Maintaining weight loss can be one of the hardest parts about being healthy. 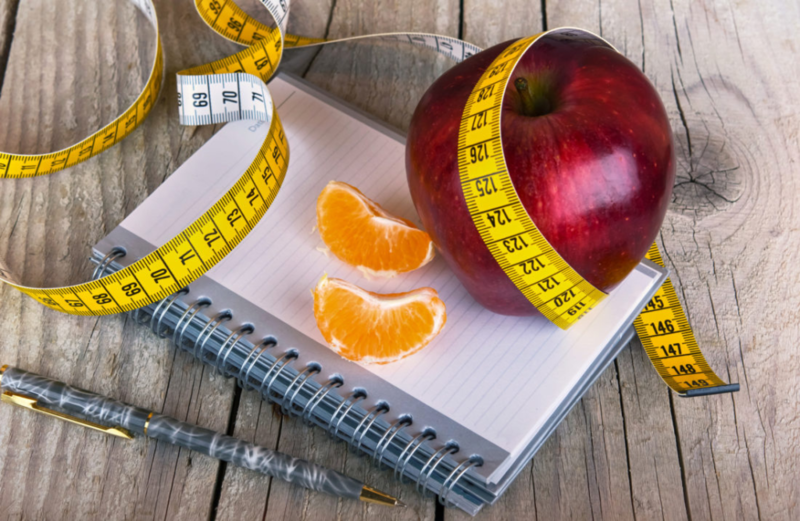 Check out these 5 tips to help you lose and maintain that weight loss now! Losing weight is hard. Anyone who’s ever done it knows this but keeping weight off requires a new type of dedication and perseverance. The good news? According to research from the National Weight Control Registry (NWCR), most people who lose weight are able to maintain it. One study found that 629 women and 155 men in the registry who lost an average of 66 pounds were able to maintain their weight loss of 30 pounds and more for 5 years and counting. But why does maintaining weight loss feel like such a difficult thing? We have some answers to help you understand this and tips to help you keep the weight off. No matter what weight loss method you used, the one thing you must also lose is the idea that a healthy lifestyle is only for people who are trying to shed pounds. It’s not. A healthy lifestyle is for everyone. Get rid of the notion that healthy living is only for the weight loss phase and you’ll be in the right mindset to maintain weight loss. Daily exercise is crucial to maintaining weight loss. 90% of participants in the NWCR also reported 1 hour of exercise daily. If you don’t like going to the gym, don’t worry. There are many other ways to incorporate exercise into our daily lives. You can take the stairs instead of the elevator, you can walk to the cafe instead of drive, or you can take a walk with the kids instead of watching a movie. If you do love going to the gym, then by all means, embrace it! Sign up for a workout class or get a personal trainer. The point is, working out doesn’t always to be an ordeal. You can keep it as light and fun as you like or as intense as you like. The important part is that you do it in a way that’s fun for you. Studies have shown that after losing a large amount of weight (50 lbs or more), a person’s resting metabolic rate drops. This means the body’s overall metabolism drops and it’s because the body thinks its starving, therefore, it will attempt to conserve calories. While the body will eventually catch on, during this time the person will also experience an increase in hunger. It is crucial that at this time, the person develops healthy eating habits. This means eating meals regularly and in healthy portions in order to not trigger binge eating. It also means eating healthy wholesome foods that are nutrient dense instead of processed, sugary foods with empty calories. Whichever type of diet you choose to follow, make sure it’s one that leaves you feeling satisfied and full. To avoid skipping meals, stock up on healthy snacks such as these from Doctors Best Weight Loss. Now that we know our bodies’ metabolic rates drop after losing weight, one of the things to focus on for maintaining weight loss is to increase our metabolic rate. An effective way to do this is weight training because the more muscles we have, the better we are able to burn off calories. Combined with a healthy diet with lots of protein (animal or plant-based), regular weight training will help a person increase their short-term and long-term metabolism. Not only that, it will also help them lose body fat, tone and reshape their bodies, and improve their cardiovascular health. If you’re new to weight training, we would recommend that you do plenty of research before starting or check with a personal trainer on how to get the maximum benefits of weight training. Now that you’ve lost the weight, you might be stepping on the scale less or not being as conscious about the food you eat. But if you really want to make sure you maintain your weight loss, it’s important that you continue to do so. 75% of NWCR members who kept their weight off also reported weighing themselves at least once a week. This is important because there are many factors in our lives that can affect our weight without us even realizing it such as stress, life events, and medications. In addition, writing down the foods you eat can also tell you when you are eating too much of something or too little of something. It’s not so much about counting calories but to keep track of what is working for maintaining weight loss and to remind you of how long you’ve come in your weight loss journey. This last tip is a bit different from the rest but weight loss is very much of an emotional journey as a physical journey. If you find yourself constantly thinking about it or talking about it, embrace it and use your experience to help others. Every day, there are thousands of people who are struggling with their weight and wish to make a change but don’t know how. They need someone to guide them and motivate them during those really tough moments. And who knows their struggles better than you? By sharing your own knowledge and experience with someone else, you will help change someone’s life and keep yourself motivated to keep going. It’s a win-win. Losing weight might’ve been just a phase in your life but a healthy lifestyle should be forever. If you find yourself sliding back a bit, it’s okay. Know that it’s normal because remember, your metabolism is still trying to adjust. Use these tips as a reminder to yourself to keep going and don’t be afraid to ask for help if you need. The key to maintaining weight loss is a healthy diet, healthy lifestyle, and a healthy mindset, which are all things you’ve already achieved once during your weight loss process. All you have to do now is to keep going. For more tips on how to create a fuller and healthier mindset in all areas of your life, be sure to check out our website and follow us on social media for more inspiration!